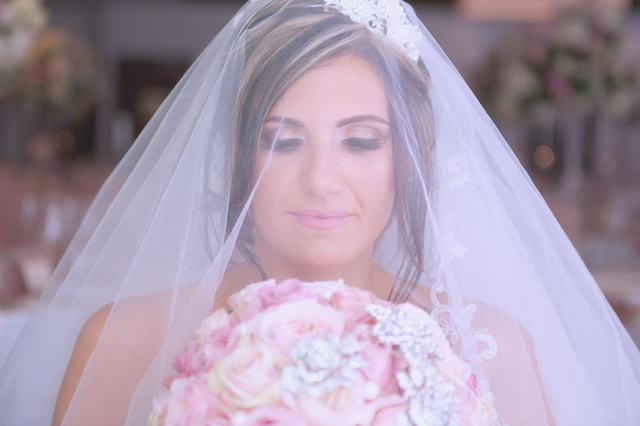 Why Dj2party Wedding Services ? 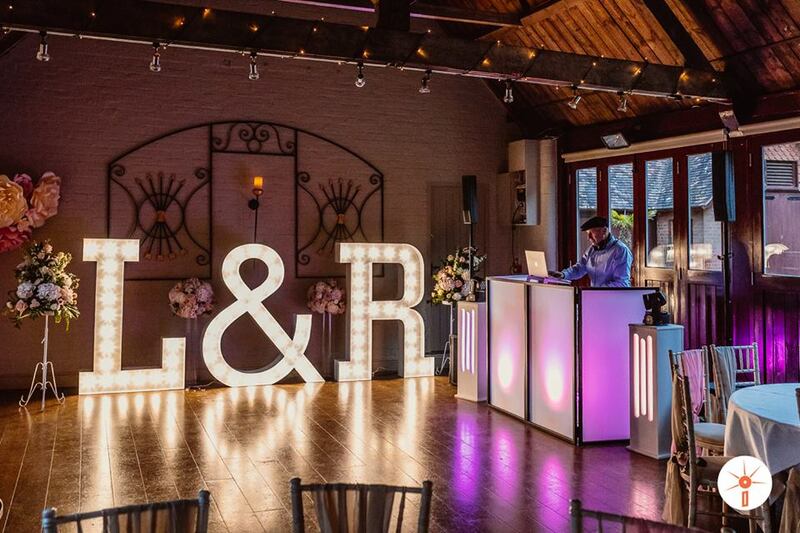 We provide a one-stop Wedding Entertainment Service offering top quality DJs & Lighting Hire with an unlimited music library tailored to your particular taste. 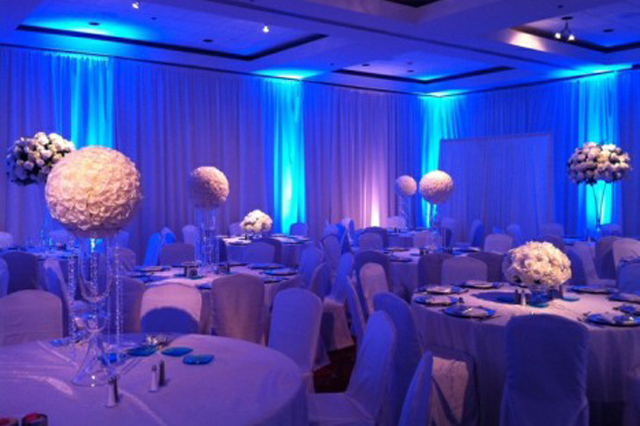 We, also offer an extensive variety of different commercial Lighting to dress your venue into something truly special. 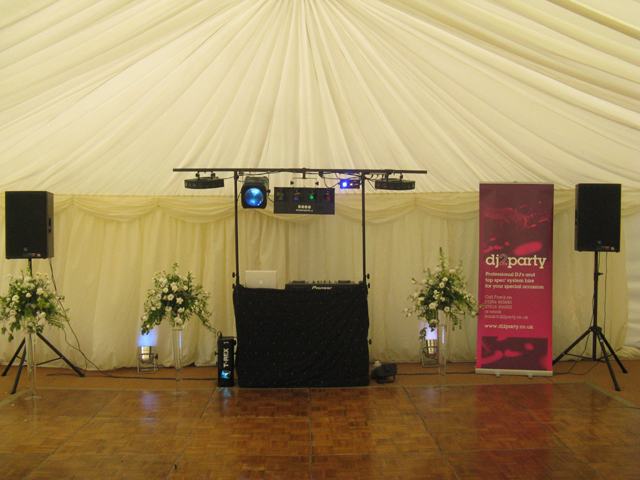 Based in Aylesbury dj2party have been packing dance floors for over 25 years. We aim to provide the finest DJs for hire in Buckinghamshire and the surrounding counties. Our DJs are always professional, paying attention to detail but never without the personal touch. 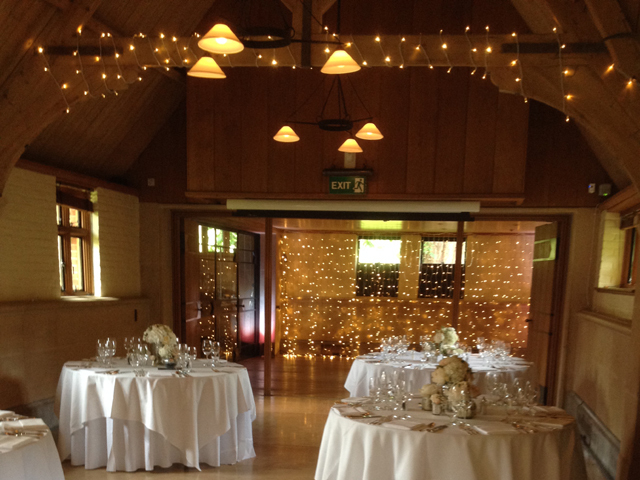 We are always happy to liaise with your party planner and venue, to ensure everything runs smoothly. 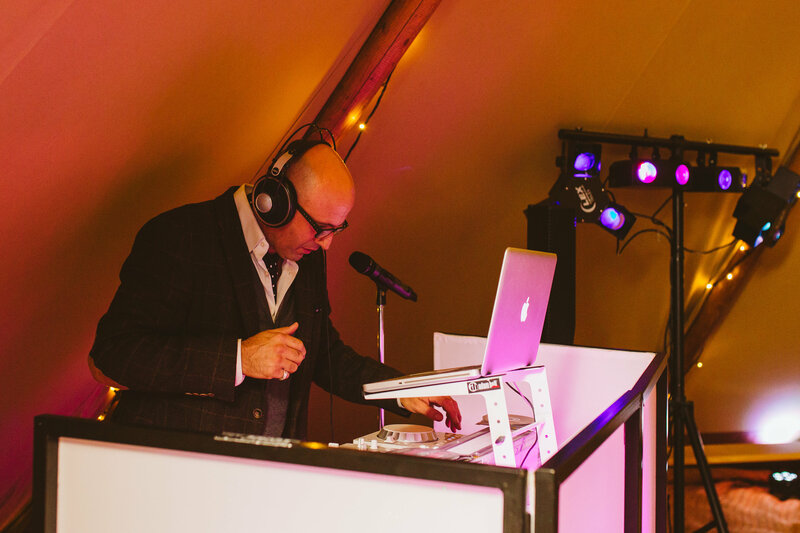 Dj2party are able to choose the right music, create the right ambience for Weddings, Corporate events, Anniversaries, Birthdays, School Proms and any other occasions. The success of our brand is facilitated by our strong industry knowledge, musical expertise and commitment to deliver only the best from all our DJ's to create the perfect ambiance. Everyone at Dj2Party has a distinguished entertainment background so you can trust us to deliver a wonderful experience that will meet your expectations. All types of music are catered for and we liase with the client beforehand to ensure they are satisfied with the style of music the DJ is going to play on the day. Our DJ's hold an impressive catalogue of digital tracks: from the present day chart hits to songs dating back from all the eras. All the equipment we supply/hire is of high end commercial quality and is very impressive and will transform any venue/event! 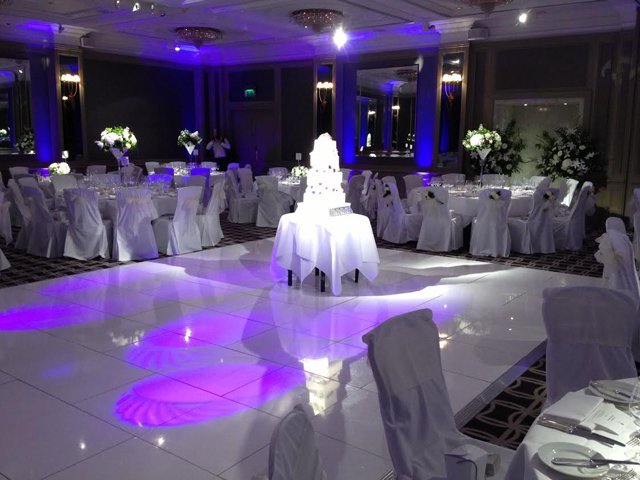 We care passionately about the success of every event, which is why we always aim to deliver the best service on the day. We want everyone to enjoy the party and leave with happy lasting memories. All our equipment is regularly PAT tested and we hold Public Liability Insurance. 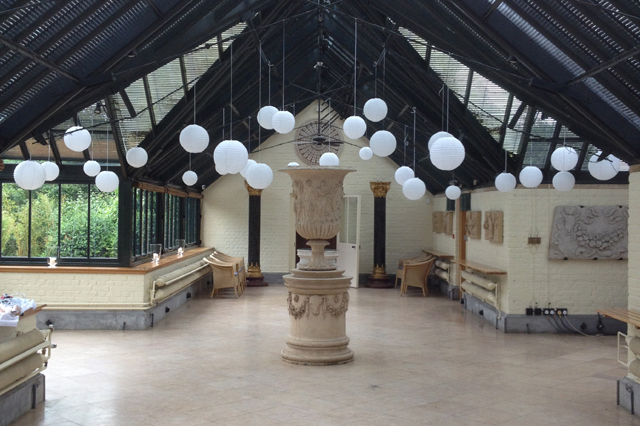 PA system hire is completely portable , making it ideal for wedding breakfast background music,speeches,announcements and even small party events. The package comes complete with microphones, so if you're looking to hire a PA system that is simple but effective - call us now for a quote! 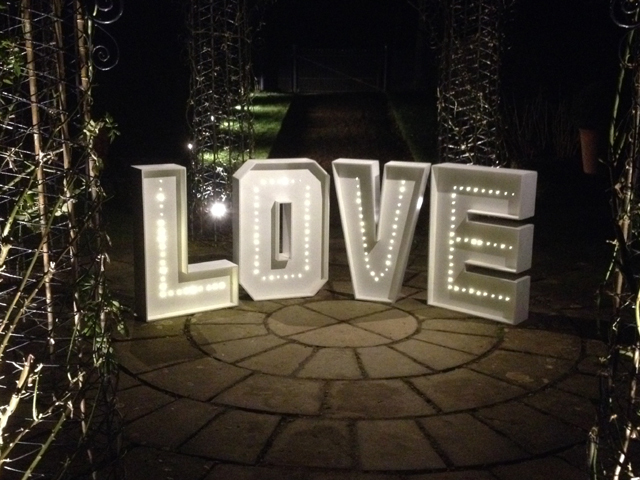 Add the wow factor to your Wedding by adding these bespoke LOVE letters to your wedding event. They can form the perfect backdrop for photographs and dance floor effects. With each letter measuring 3 feet tall, they are battery operated so you are able to place them either inside or outside your venue,(weather permitting) No trailing wires! & furthermore, you have the flexibility to relocate them anywhere with ease. 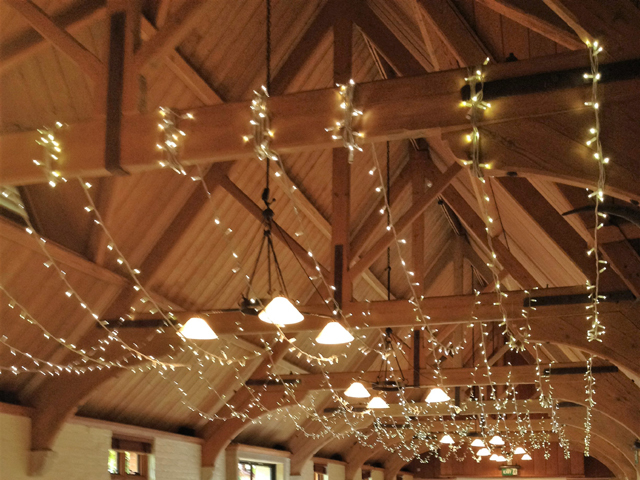 We have a variety of top quality commercial grade, LED String Lights that are perfect for transforming your venues into something truly magical.. The Lights have many alternative uses which include; backdrops, wrapping around beams, Harnessed & draped across beams length-ways , decorate Pavilions, chandelier style canopies , centre pieces, swags and and much much more...for a visually stunning Wedding. 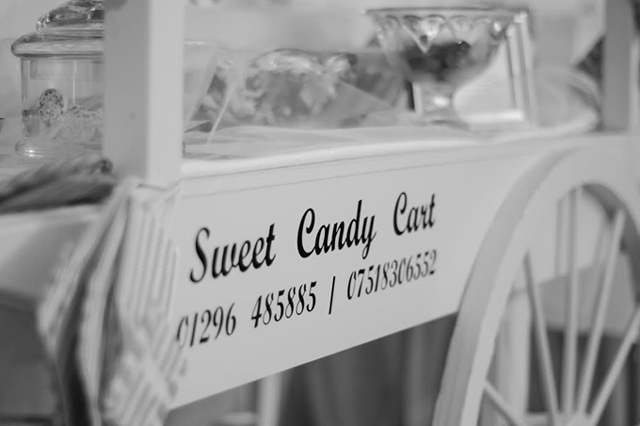 Hiring our Candy Cart is a great way of treating your guests to a wide variety of fine sweets and confectionery. 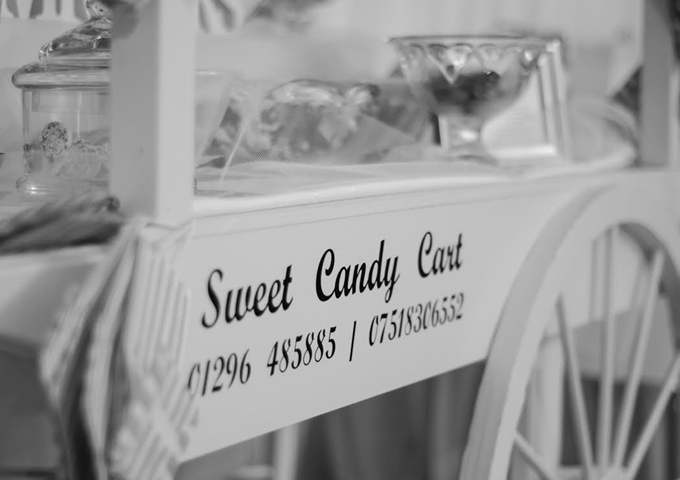 All our of our sweets are displayed on our beautiful vintage style Sweet Candy Cart with various Vintage Glassware . 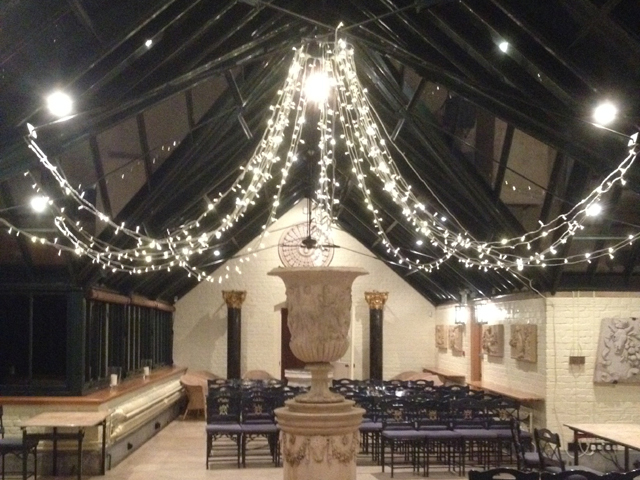 Our festoon lights are the biggest trend in lighting right now. 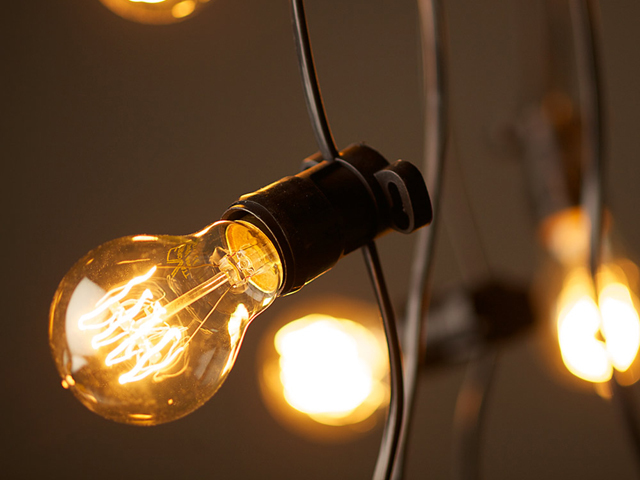 Simply lit by led bulbs, they create a stunning effect when used both indoor and outdoor. Making them great for weddings parties,garden parties and more.. Equally perfect for relaxing outdoors, these Festoon lights have a wonderful simplicity that adds character and warmth. Drinks and pig roasts at sundown are more memorable when you hang our Festoon Lights in your garden or your party venue to create a gorgeous glow. 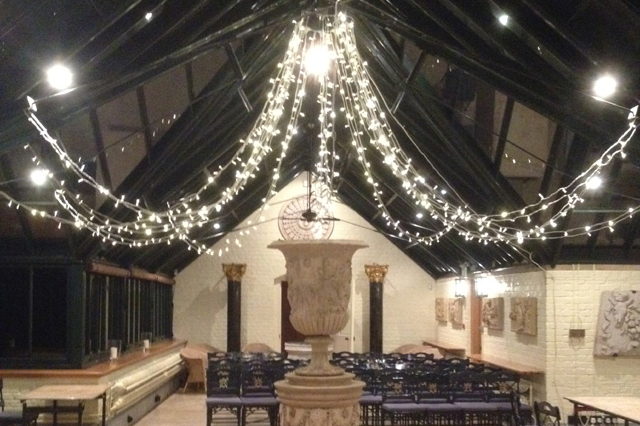 If you don't want led bulbs, then you can choose our traditional filament festoon garden lights which are ideal. These large oval tear drop bulbs can be replaced and look fantastic in your garden or any outside special event. 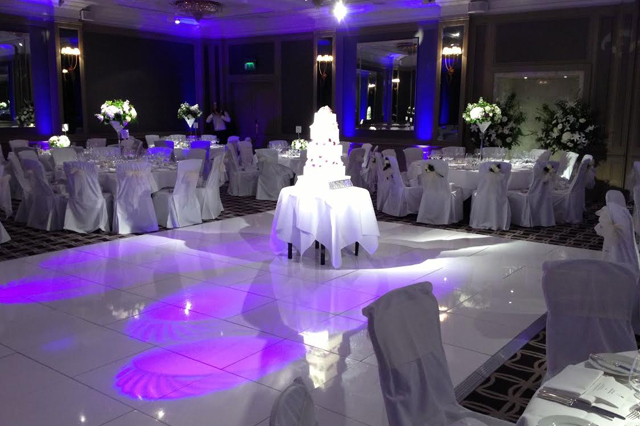 Up lighting can make any venue look elegant and this style of Mood Lighting can really create a sophisticated look for the perfect Wedding. They are white slim and have a choice of Multi color changing or static color of your choice, to create the exact look you need... Placed around the room they create an instant warmth and ambiance. 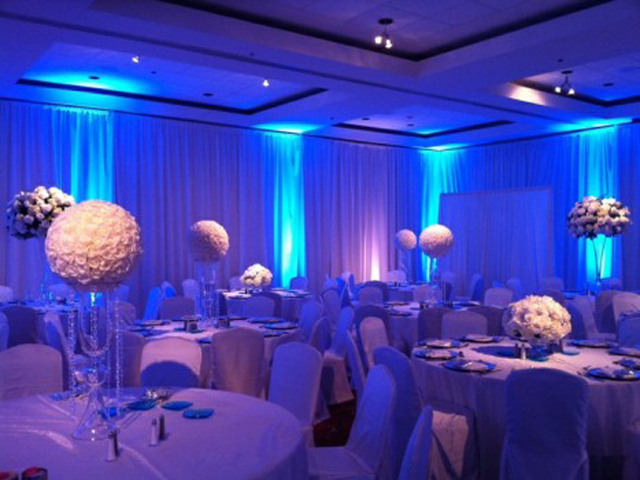 We work alongside a multitude of hotels, event venues and corporations. Hi Frank Just wanted to say a big thank you from us both for making our wedding so special and personal to us. We have had amazing feedback from all that attended the day and you certainly played your part. I have put a few words together if you want to use them as a testimonial- if it helps but I am sure you are already in demand. " From the first point of contact through to our wedding day Frank's professionalism stood out. He makes it extremely personal and plays music to suit all tastes. Frank has proved to be extremely reliable and is eager to please . Frank came highly recommend from a friend to us and over the last couple of months Frank has provided music to 2 family events and on both occasions our friends and family have commented on the quality of the music played and Frank's overall professionalism. No doubt Frank will get further bookings as a result. "Please feel free to use this if it helps. I really can't thank you enough for the support you have shown to both Helen & Ted / Peter and I. I will certainly be recommending you if anyone needs a DJ.